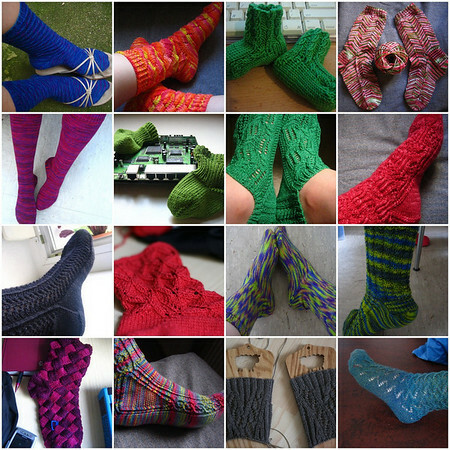 i started knitting again on january 24th of last year, and since then have knit 15 pairs of adult sized socks, and a ton of baby sized socks as well. two pairs were completed this past week. one was a pair i started to have some airplane friendly knitting on bamboo double pointed needles, here shown below still on the needles. full info on this pair here. ten of the fifteen pairs (and all of the baby pairs) have gone to homes other than mine. i like to think people have some happy feet. 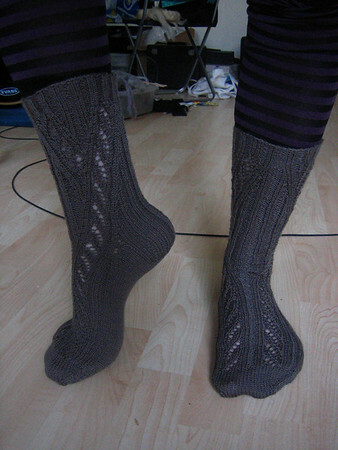 also it pains me to say that all the pairs i knit for other people went 10 times faster than the pairs for myself! it just goes to show that i am definitely a knitter, not just a scarf knitter, but a full-fledged knitting obsessed wool addict. that, and i will never have cold feet. 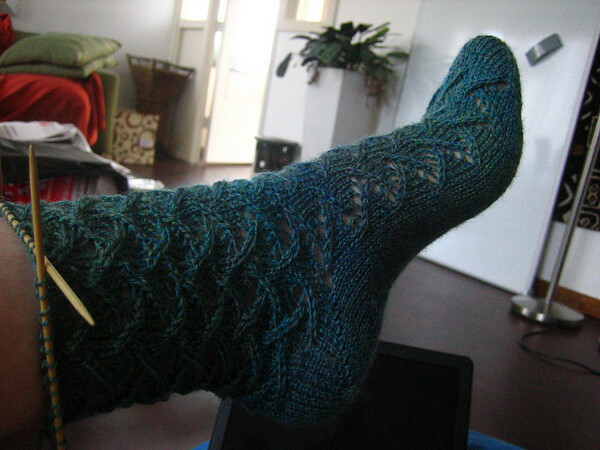 This entry was posted	on Friday, February 1st, 2008 at 21:40	and is filed under knit. You can follow any responses to this entry through the RSS 2.0 feed. You can leave a response, or trackback from your own site.